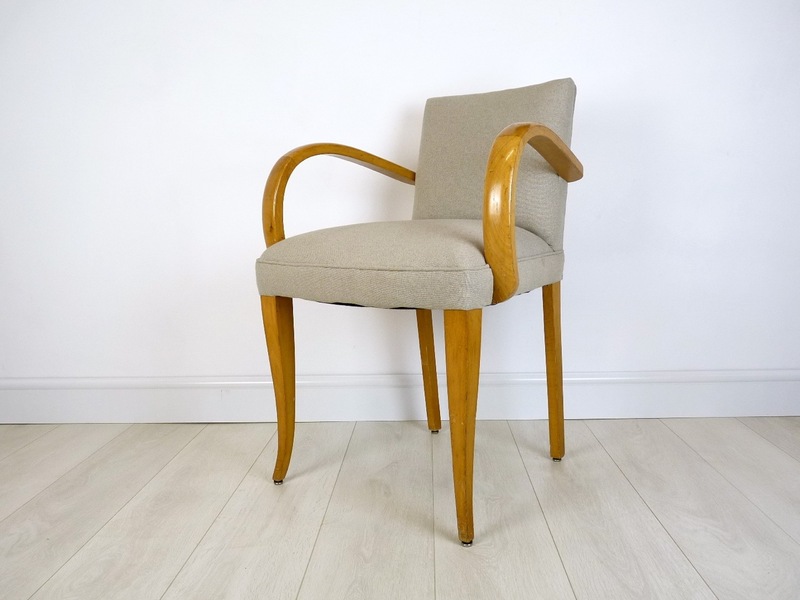 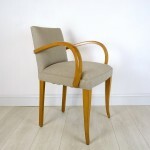 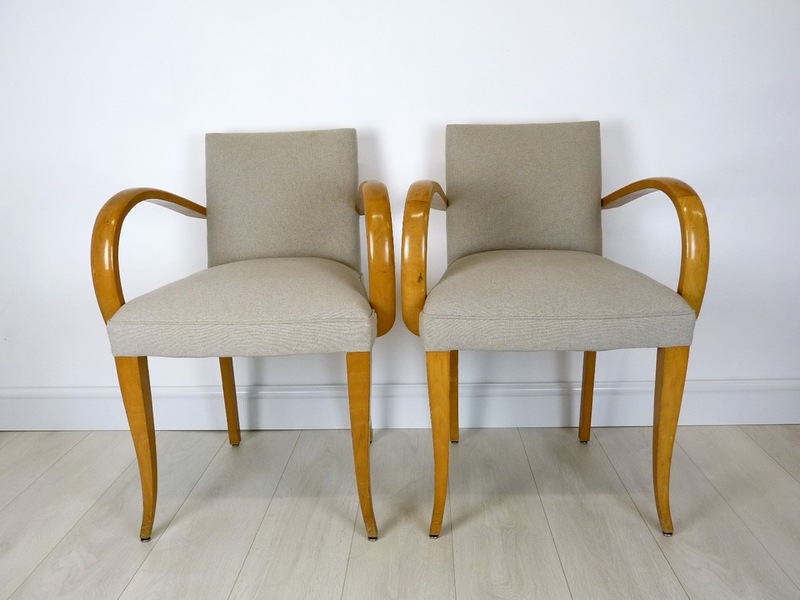 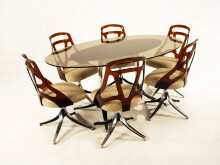 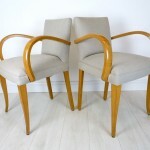 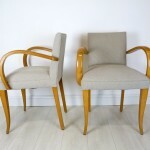 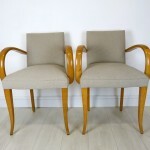 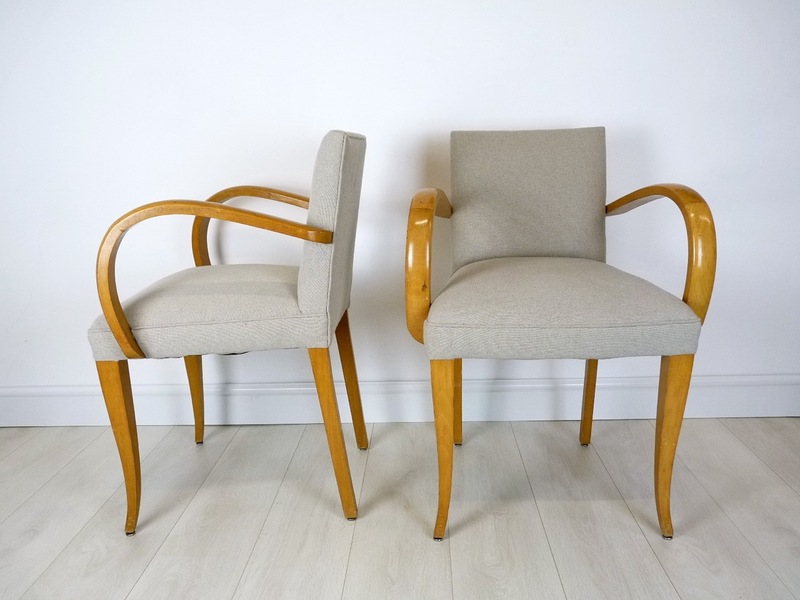 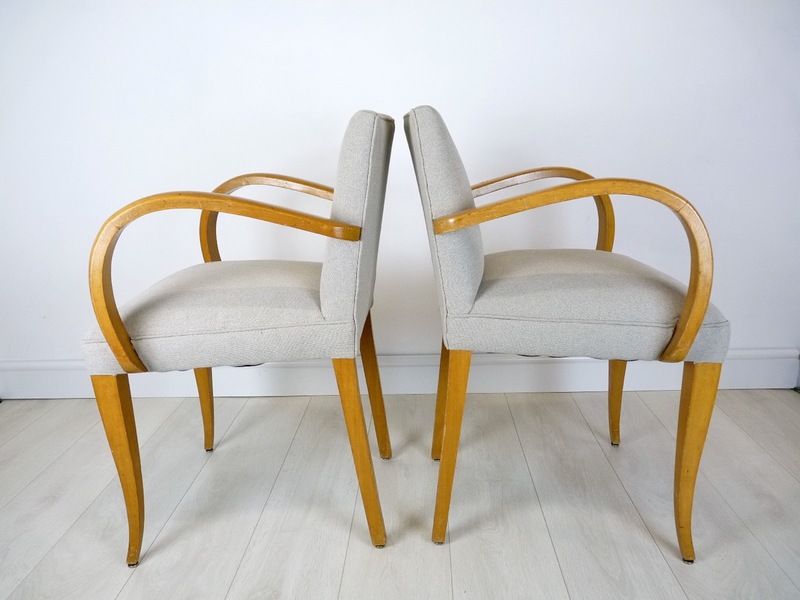 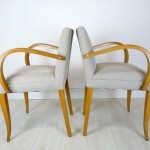 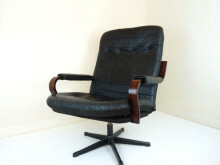 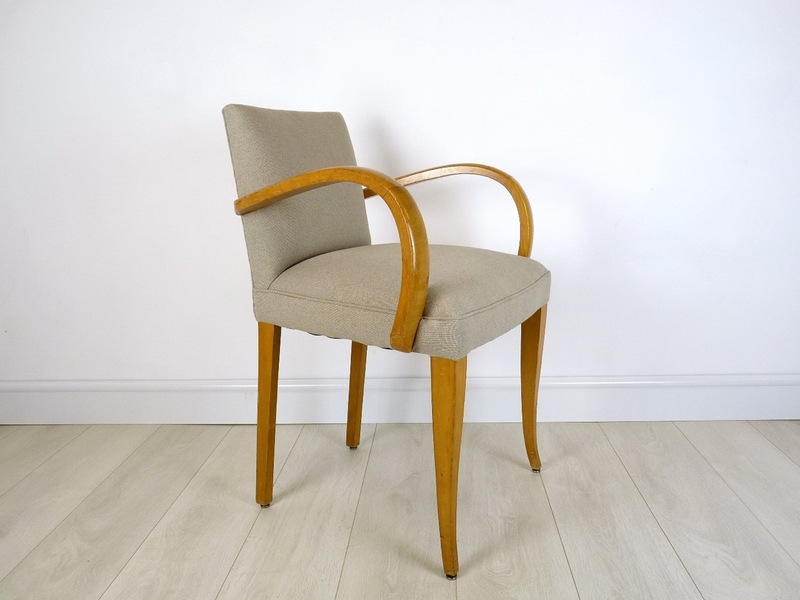 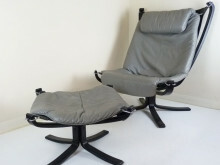 An stunning pair of 1940s French bridge chairs. 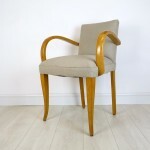 Made from solid beech wood which has a wonderful age and lustre. 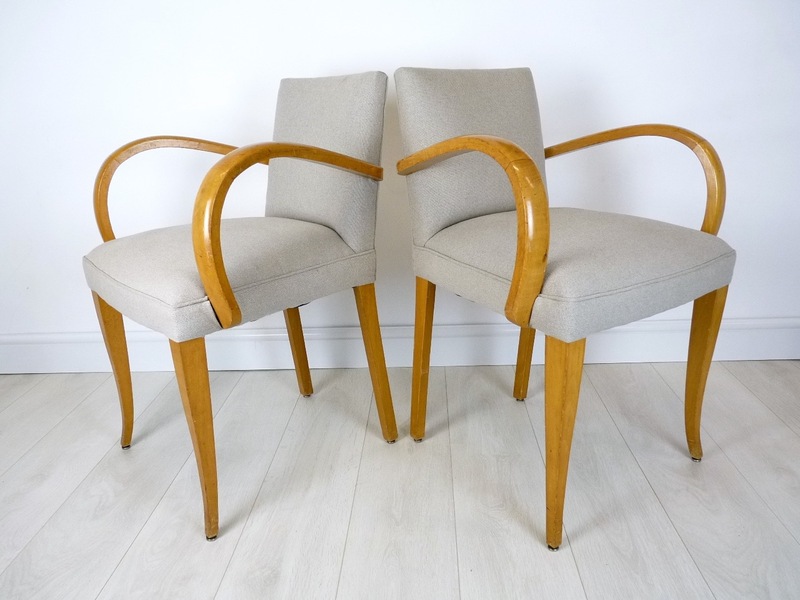 They have been re-upholstered in cool grey fabric which sits perfectly with the richness of the wood, a great addition to any interior.